The temptation to look longingly to idealised visions of Islamic cosmopolitanism as the antithesis to the militant communal solidarity associated with contemporary groups, such as the Islamic State (IS), can be quite powerful. Many scholars and popular writers have pointed to the historical efflorescence of al-Andalus on the Iberian Peninsula as a paradigmatic example both of the storied past and the potential future of Islamic cosmopolitanism, a model of religious vitality and peaceful coexistence that could perhaps help provide a roadmap out of the fraught political impasses of the early twenty-first-century Middle East. Likewise, the Indian Ocean region, with its historical patterns of mobility across vast geographic spaces and variegated cultural landscapes, has long been taken to be privileged spaces for imaginations of cosmopolitanism. However, if one pushes a little beyond the nostalgic image of religious learning, pluralism, and unencumbered movement, it is also possible to discern a more complex story of cosmopolitanism across the histories of Muslim societies. For example, the progenitor of the first Andalusian caliphate, ʿAbd al-Raḥmān, embodied not only the wisdom of broad-minded governance, but also the enduring impact of violent upheaval, displacement and coercive political projects – coming to Iberia as he did in flight from the ʿAbbāsid revolution in mid eighth-century Iraq. Indeed, the messy realities of cut-throat economic competition, political machinations and military conflict coexisted with, and arguably underpinned, the much-celebrated cultural achievements of al-Andalus. Similarly, several recent scholars working across disciplines on the Indian Ocean have begun to remind us of overlooked aspects of competition and conflict, calling for new research to challenge the idea of the premodern Indian Ocean as a romanticized realm of social harmony and trade. It is then incumbent upon us, as historians and anthropologists, to move beyond the reified imaginations of a universal Islamic community (umma) transcending time and space toward a more nuanced historical understanding of how power and coercion shaped competing visions of cosmopolitanism. The chapters in our volume, Challenging Cosmopolitanism, direct attention to the experiences of Muslim communities stretching from Arabia into Central Asia, China and Southeast Asia. These latter areas, while often considered marginal to the mainstream of Islamic Studies, offer considerable benefits for a study on Muslim mobility and the coercive dimensions of cosmopolitanism. Subject to large inflows and outflows of Muslim peoples, defined by heterogeneous histories and populations, and often at the periphery of strong states, the experiences of Muslim communities in these regions provide insights into contests to define what could and could not be defined as legitimate forms of difference. Spanning from the 16th through 20th centuries, the chapters of our volume present diverse historical experiences that challenge prevailing conceptions of cosmopolitanism. For instance, several authors examine case studies of itinerant Sufis who overthrew governments on Indian Ocean islands, as well as the histories of “emplaced cosmopoleis” of shrines patronized by warlords in early Islamic Java. Other contributions demonstrate how military heroism and “Islamic military cosmopolitanism” bonded Hui Muslim to the Chinese state, as well as the experiments of US colonizers in the southern Philippines to employ Ottoman shaykhs in the service of pacification projects. Through such richly contextualized case studies, we can move past one-dimensional portrayals of, for example, diasporic Afghans as ‘hapless refugees’ to see how they forged intimate ties and thriving business networks spanning from the Ukraine to Yiwu, China. Taken together, our work helps to illuminate the fraught relationships between particular forms of mobility, coercion, and border-crossing, thereby contributing to a more nuanced analytical framework for diverse cosmopolitan formations in Islamic history. 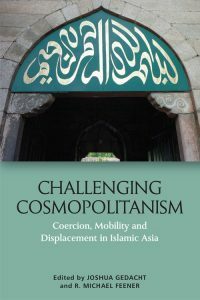 Challenging Cosmopolitanism: Coercion, Mobility and Displacement in Islamic Asia is now available. 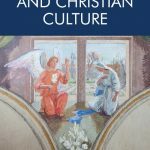 Find out more on the Edinburgh University Press website. 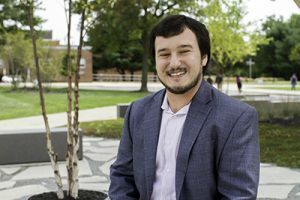 Joshua Gedacht is Visiting Assistant Professor in Islamic World history at Rowan University in New Jersey. 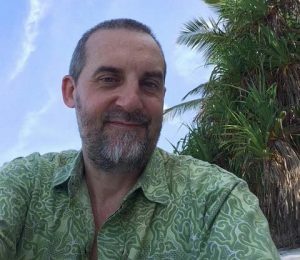 R. Michael Feener is the Sultan of Oman Fellow at the Oxford Centre for Islamic Studies, and Islamic Centre Lecturer in the History Faculty at the University of Oxford.